I started my Saturday morning with a bike ride to the yoga studio, 90 minute yoga class and kinda had no choice but to bike back. I burned roughly 1000 calories (I did not configure my Garmin right, so I could not get an accurate calorie measurement). Way to get over my overeating the last couple of days. 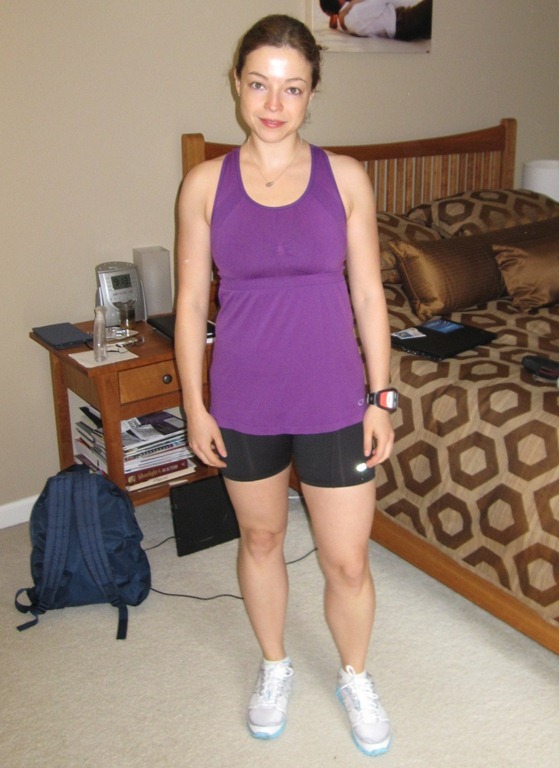 I completed my 6th yoga class and besides increased flexibility I noticed subtle changes in my body. Maybe it’s all the sweating, or the extra water I’ve been drinking, or breakfast green smoothies, but whatever it is I am loving the healthy glow and even tone to my skin. My hands have been getting stronger and my wrists don’t crack (I blame all the typing I do at work) nearly as much as they used to. They say that because you are sweaty and you interlace your fingers for the non-slip grip, it helps prevent arthritis. My energy level has been up as well (after all I made it to two 6am classes last week) and the bike ride back was a nice way to complete the workout. With my new acquired hobby I needed some hot yoga appropriate clothing (I am not the type to wear just a sports bra and a bathing suit bottom, unlike some other students). I refuse to spend enormous amounts of money on “fashion” yoga wear from sorority-like stores like Lululemon. Check out my new Champion outfit I picked at Target last night for $30. 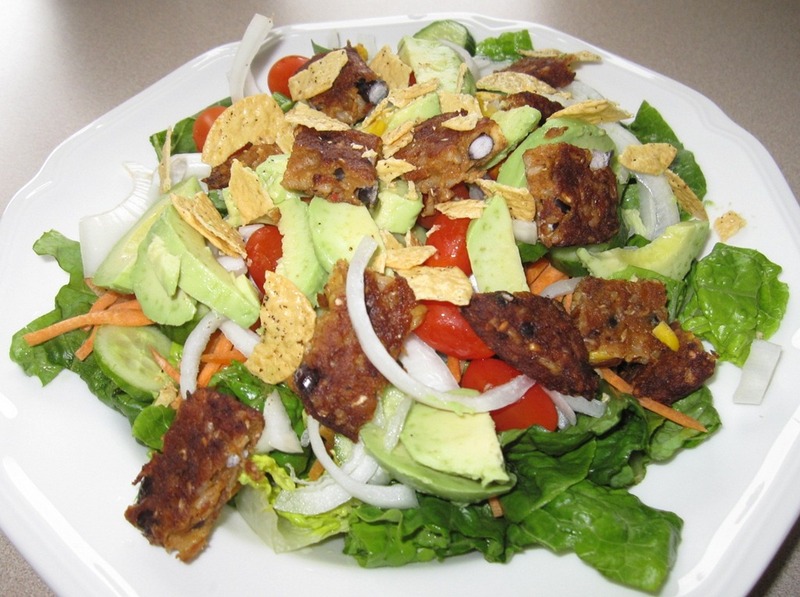 For lunch I made another ginormous salad topped with a black bean burger and a few crushed rice chips. It was so tasty that I will be having a repeat tomorrow. 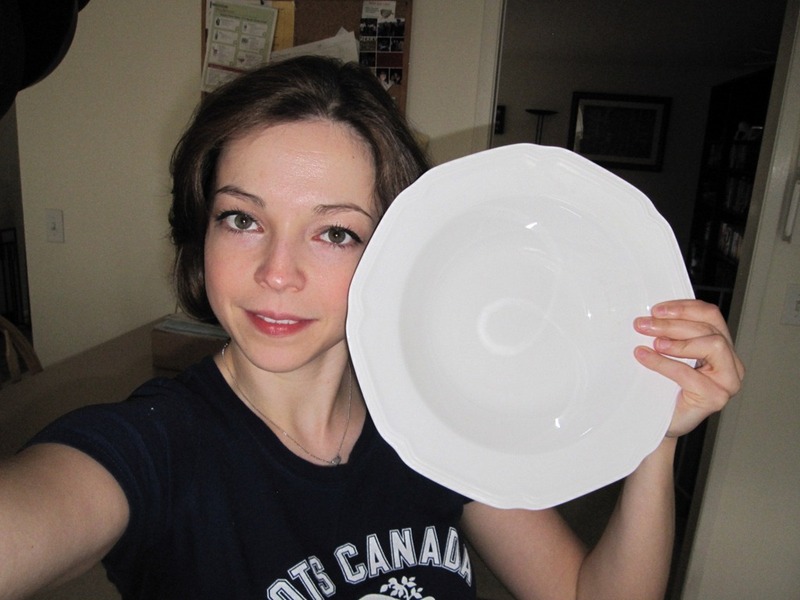 So you have a better idea of how giant my salads are, here is the head-size bowl I use. In the afternoon, Eric and I headed to the mall to “make” some money by bringing back a few unsuitable pairs of Nordstrom shoes from earlier online orders. 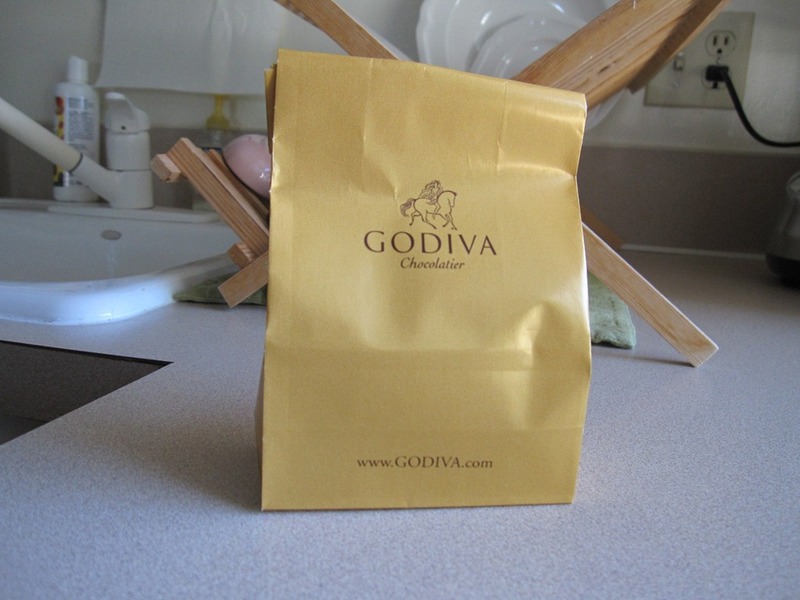 I could not resist stopping by Godiva for a free chocolate truffle. I am part of their Chocolate club, so I get a free chocolate of my choice every month. This is an example of brilliant marketing because once they get you in the store, you can’t walk out with just one piece. Trying to fight the urge to finish off my “buy-three-get-one-free” special sitting on my counter, we had an early dinner of leftovers (tortilla-less chicken). Now it’s time for a movie. That’s the usual Saturday routine. What’s your Saturday night like?